Alexandria University’s Archaeological Mission unearthed several anchors on Monday while surveying the Bagosh area near Marsa Matrouh, under the supervision of the Central Department of Submerged Antiquities of the Ministry of Antiquities. 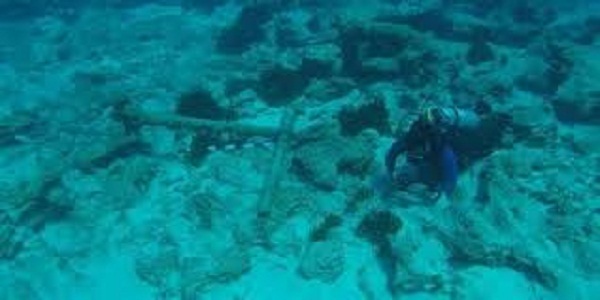 Head of the Submerged Antiquities department Ihab Fahmy stated that the anchors were made of stones, irons and lead and dated from the Hellenistic era until the 20th century. He explained that marine activities were frequent through different ages and that ships had been anchoring at Bagosh port for 2000 years. The mission would continue to perform a study on the anchors and their development in Egypt, Fahmy said. The mission has also discovered several potteries in the North Africa area including Egypt, Greece, Italy, Spain and Palestine, Fahmy added.